Taro Asou became the prime minister of Japan after Yasuo Fukuda's sudden resignation. As usual, Newspaper companies started the "cabinet support rate survey" (内閣支持率調査, Naikaku Shijiritsu chousa) . You can see how different the numbers are, based on which newspaper company did the survey. Nikkei result says Asou has 53% support rate whereas Sankei's number is 44.6%- 10 points lower than Nikkei. This has become a debate in people interested in surveys - there could be various factors that made this difference - it could be due to how the questions were phrased, what method they did the survey (some are telephone interview, some are F2F, etc), what time they did the survey, whether it was weekday or weekend, etc. This is the latest political party support rate. Yomiuri's result says DPJ has 22.8% whereas Nikkei has a score 10 point higher- 33%. Following is the historical chart of the cabinet support rate of prime ministers... 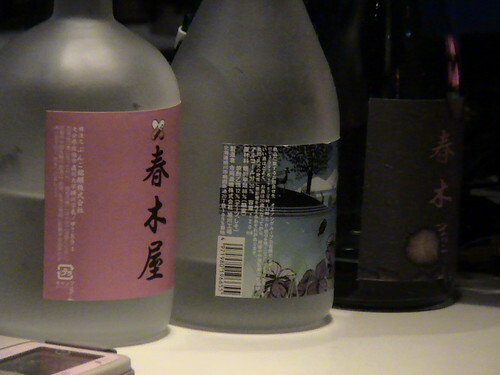 I listed the data of Yomiuri and Asahi. * "point change" refers to the comparison between the survey result from last time and this time. There was a huge difference in those numbers here too. 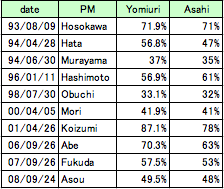 Whichever company's data you use, certain facts- such as the fact that Asou's cabinet support rate is lower than what LDP expected- lower than recent prime ministers such as Abe and Fukuda- does not change. 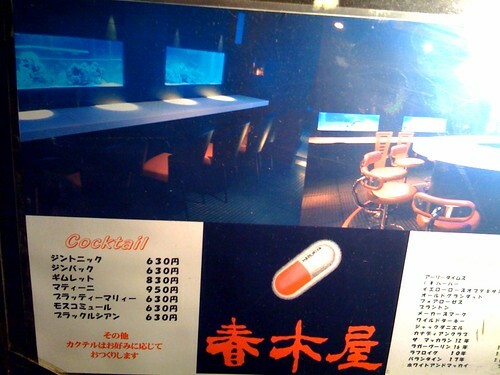 Keitai Shousetsu means "Cell Phone novels", which are short novels meant to be read with cell phones. Today, "The 3rd Cell Phone Novel Award" was awarded[ja], and a novel called "Atashi Kanojo (I, girlfriend) "[ja] won the grand prize (with 2million yen prize). You can see from the image that all of the lines are really short with one or two words, and it has dozens of line breaks. and it goes on and on with all these line breaks and "mitaina"s.
I don't think there is any translation for "mitaina" as it doesn't mean anything, it's there at the end of some of the sentences. Someone counted this "mitaina"s and it is said that there are 423 pages for this novel, and there are 210 "mitaina" in this novel. Those line breaks and "mitaina"s are unique and it is so different from what we read as paper novels or within the internet world that we see on computer screens. This unique "Atashi Kanojo" grammer was not acceptable to most of the grownups and there is a big buzz online by the adults making fun of this. "Atashi blog"[ja] is a joke website that enables you to put your blog URL in the box, and returns contents in a "Atashi Kanojo" grammer. Of course the enter button says "mitaina（みたいな）"
On the other hand, others got used to this style where there is a certain rhythm and got sympathetic about the story - some even blogs that they had cried out with tears reading this. Whether we like it or not, the impact of cell phone novels are becoming so huge that we cannot ignore. The year 2007's best selling novels ranking shocked the industry. 5 out of top 10 best selling novels had cell phone novels, especially all of the top 3 were cell phone novels written by amateurs. The best selling novel in Japan in 2007 was a cell phone novel "Koizora" which was read by 25 million readers, got published and sold approximately 2 million copies, was made into a film with gross revenue of 3.9 billion yen, with 3.14 million people visiting the theater.It was later adapted into drama series too. Koizora was 10th in the year 2007's best selling book ranking. The biggest company providing the cell phone novels is "Mahou no Island (magical island)"[ja] which Koizora was originally uploaded and published. Following is based on a translation of an interview article with Akira Taniguchi[ja], the CEO of Mahou no Island on Chiyoda Portal site, plus what I heard from my friend who works for Mahou no Island. Mahou no Island is a website that enables you to create websites, novels, poetry etc for free. It started in December 1999, and has 5.7million users (of which 80% are female) and has monthly page view of 3.3billion. Their business model is advertisements, content business, content management, publishing and EC. 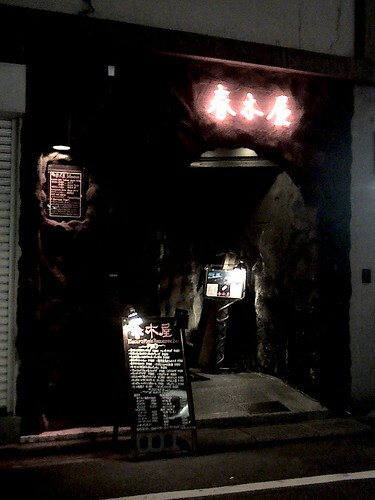 The service "Mahou no Island" started 8 years ago, but the company actually started 19 years ago. They were a IT developer company then, they did the developing work during the day, and developed Mahou no Island during the night as a side project. The first server was placed under the CEO's desk. The first day they had 300PV, the first week 30 thousand PV/day, the first month they had 400thousand PV/day and in 3 months they grew to 1.2 million PV/day. The reason why Mahou no Island had a competitive advantage was that they started with cell phones and grasped the customer needs and coped with them rapidly, whereas for the competitors, cell phone site was like an appendix to the PC site. They grew up with the cell phone users together to make the website better. It is said that the users were amazed by how fast the fixes were made on the site when they gave requests- it is funny when you know about the fact that they were doing a big company's work during the day and those fixes were made during the night... with all the passions toward creating a better site. Cell phone websites are always fighting with the problem of unethical contents for their young users. Mahou no Island has a service called "i-police" which checks the community sites within Mahou no Island and warns or deletes certain contents when they find them. As most of the users of Mahou no Island are teenagers, harmful contents (such as bullying) is a serious problem. 70% of the checks are done by computer, and 30% is by human. They say deleting the contents is easy, but it will not solve the problems. The real solution is to educate "why" such usage is bad, and stop that child from repeating that mistake. Mahou no Island invites students to visit the company now and then, to learn / experience from them. It was also revealed today [ja]that Jakucho Setouchi, an 86 year old novelist secretly created a cell phone novel. Many people points out that cell phone novels has a bad influence on Japanese novel culture, but she says she wanted to know the reason why cell phone novels are read so much. Cell phone novels has strange grammers that are used by the youngsters, and Setouchi tried using such grammer for the novel. We really can't live without cell phones in the current society. We're using the cell phones the whole day, and more so with the children. 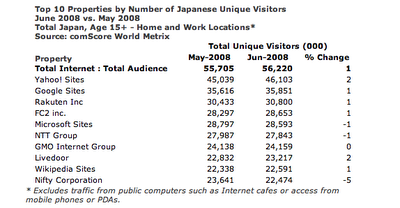 There are more than 100 million cell phones in Japan. Mobile business market is 1.1464 trillion yen（2007）23% increase from last year. Taguchi-san did a study group on mobile industry with Sato-san of froute as the lecturer. mobile search used to be a pass time- it has now become a tool to use "when in need"
best to become PC site. partnership with those companies helps your business a lot. CTR depends on number of unique user and how much users are used to ads. 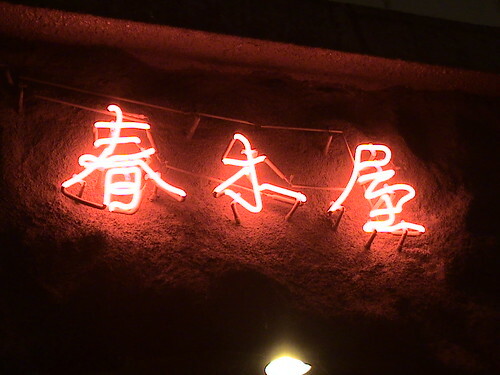 openness, standardization of pictogram, etc. Ministry of Education, Culture, Sports, Science and Technology told the elementary schools and junior high schools all over Japan to prohibit students from bringing cell phones to schools[ja]. It says 1) elementary school children and junior high school children are basically prohibited to bring cell phones to schools 2) if it is going to be allowed for safety reasons etc, the usage must be limited to certain functions such as GPS 3) Cell phones that are allowed to be brought into schools may not be used in the schools. 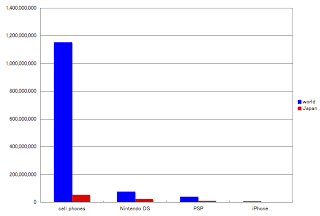 30% of NintendoDS and 25% of PSP are sold in Japan. Google started Google Streetview [ja] service (GSV) in Japan. Google Streetview is a service that Google's car with a camera runs around in town taking photos of everywhere and is located in Google Maps. Google Streetview service launched in August in Japan which invited LOTS of debates. There is a hot debate over GSV. Google insists that they are taking photos in the public road so there shouldn't be any problem. Some say it is useful and interesting. Others say it is infringement of privacy, might be used by thieves or terrorists, etc. Osamu Higuchi wrote his blog titled "a letter to Google"[ja] asking to exclude Japanese cities from Google Street View because of the cultural differences between the U.S. and Japan. The notion of privacy is linked to cultural lifestyles that differs in each country, and in Japan - in his opinion- Google Street View is not suitable. Chris Salzberg posted on Global Voices the full translation of this letter: and this is abstract from that post. -Certainly it satisfies a certain sense of curiosity to see these places that you normally wouldn't be able to see, and there is a kind of guilty pleasure in that, but when you really think about it carefully, it's actually pretty scary. 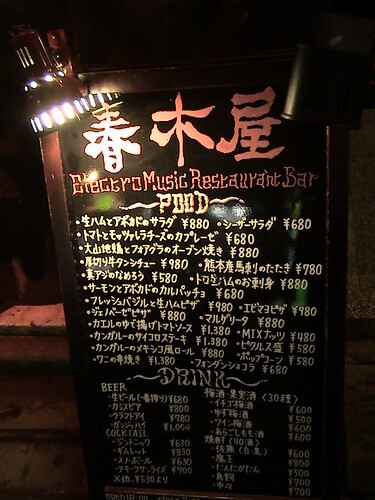 -At Baldanders.info, another blogger offers a perspective on privacy [ja] as someone who grew up outside of these urban areas:Maybe it's because I'm from the country, but although I can sympathize with the idea that [Japanese] alleyways [”roji”/路地] are a part of the living space, I don't think that this is connected to the problem of privacy. The reason [I say this] is that this “living space” is a shared space of the neighborhood community in the area, and is not a private space. In other words, this “foreign substance” Street View which has entered into people's “living space” is not something that intrudes on people's private space, but rather something that intrudes on the shared space of the neighborhood. So although I don't see it as a problem of privacy, I do hope that this issue will form the starting point for a discussion on the relationship between the tight spaces that are peculiar to Japan and what is outside of these spaces. This must also have an impact on the way that security is managed in everyday life. 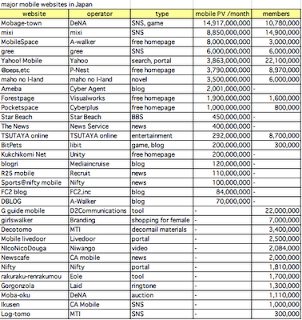 - This blog is fully dedicated to finding interesting stuff in GSV. 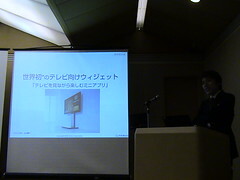 MIAU held a symposium on GSV, and Shinyai liveblogged it [ja] and IT Media wrote an article [ja]. - In England and France, service launched but in France they only shoot big roads. 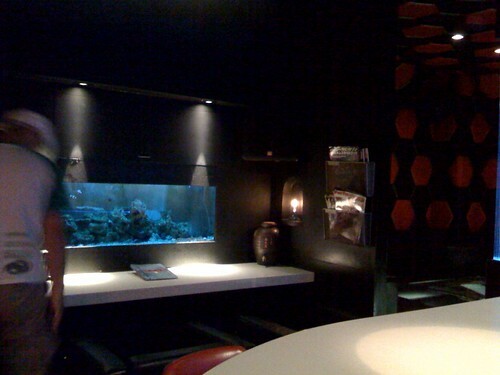 Location View launched 2 years ago, but there had not been any complaint filed to the company. This was probably because the company deleted photos with privacy concerns by hand. Google took the opposite "Optout" approach- they shot everything, publicized, and told the users if there is anything that has problems they will take them off. The latter is obviously easier, cheaper and faster, but this approach was questioned by the panelists. - "The notion of "privacy" changed a lot during those 20 years." says one of the panelists and a lawyer, Toshimitsu Dan. People put their names and phone numbers in the phone book. Name lists were sold and it was not illegal then- now it's illegal. - Another panelist Masayuki Hatta points out that in the U.S., there are front yards and you can't really see the houses. In Japan, we don't have yards so GSV car can easily take photos of the houses. On the other hand, he says "saying GSV is grose is similar to pre-camera era when people thought "if you get photos taken, your soul gets stolen." Want to see more of the statistical data of people's perceptions towards GSV? Those issues depends on who you ask and what they know etc so nothing is definite, but here are some examples. MIAU symposium's participants were 50% positive 50% negative to GSV. Q：Have you ever used GSV? Q: Have you searched on your own house? Q: Have you or your friends been found in GSV? Q: What do you feel about GSV? 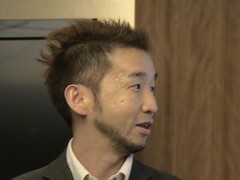 Hiromitsu Takagi, a security consultant has been looking into GSV problem more than any person I know of. 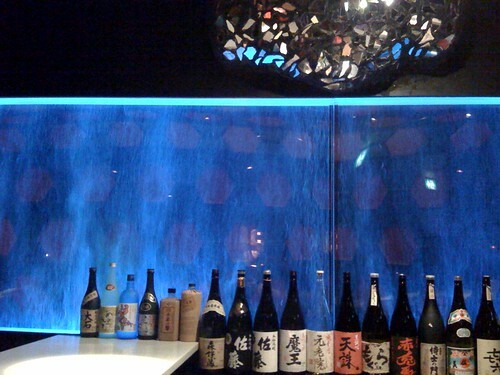 Various companies including Yahoo, Google, MicroSoft, NTT, KDDI, JR-West, etc were present. During this meeting, Google said "In Japan, houses has the name plates in front of the house. People do not care about privacy as they are pubicizing their names on public roads."" Value criteria of what is harmful and what is harmless differs among each person, and it is questionable to bind with the ethical sense of academists." -Would Japanese houses' fence grow 70cm longer in accordance with Google? -He goes on investigating how GSV car went on to shoot private roads, car license plates, etc. -He started a survey using Hatena's survey system. The purpose of this research was to check if the tendency differs by the respondants' housing environment. -people whose own house was shot has the tendency of being more negative about GSV. -people in houses are more negative compared to people living in apartments. He comments that "Hatena people have higher IT literacy than ordinary citizens, so it might have pushed the "positive ration", and also as more people gets their own houses' shot, they might be more negative." -When their own houses get shot by GSV, they have clearer understanding and stance toward GSV. -"Do you think the problems will be solved?" 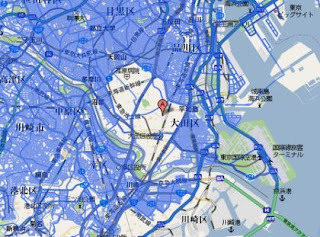 - Japan: Street View's Missing Streets is another blog post on Global Voices by Chris, pointing out about the blank zone in GSV. Hatena blogger id:buyobuyo compares the atmosphere of Ōta Ward in these pictures to Area 51 in the U.S.
Outside of Tokyo, a well-known large-scale discriminated community [被差別部落/hisabetsu buraku, or “burakumin area”] (a group from the area has bought a domain and has its own web site, but just to be safe I will avoid citing the actual name of the city and region here) hardly appears in Street View except for its periphery area. There are however many more areas in this city that are also blanked out, and also on the human rights board on 2channel [they are saying] that there is no causal relationship between Google avoiding this area and the fact that it is a burakumin area. Nevertheless, if you know the rough whereabouts of this region, then there is the potential to visualize it on the map. 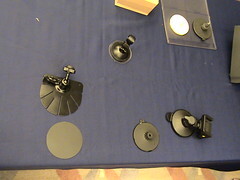 SONY held a dealer convention as well as blogger seminar last weekend. 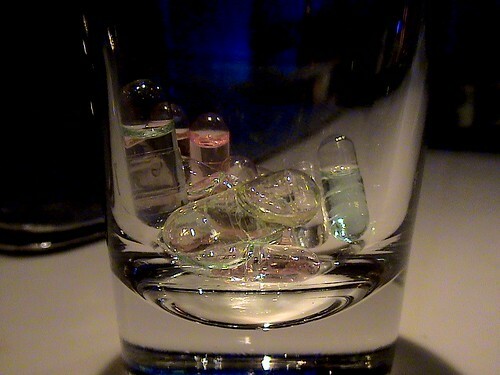 "sountina" is a speaker, designed as an interior, made of organic glass. Beautiful design as well as sound. 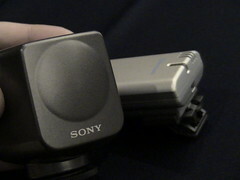 "ECM-HW1" is a wireless microphone for Handycam video camera. Pros: you can get better sounds for your video - you can shoot from a distance, or in a different room, you won't get your own voice in the recording when you interview someone. It's light(as in weight). Being able to attach the car navigation to a car with those suckers is one of the features. SONY has a team dedicated for this sucker development. He has been doing research on sucker for 3 years already. Car navigations with GPS loses the location data when it enters tunnels. 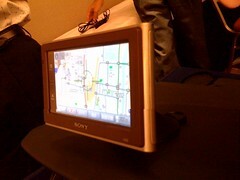 Nav-u has acceleration sensor and calculates the speed and direction to keep track of the location even in the tunnels. Acceleration sensor miscalculates the gravity when there are hills etc and the road goes up and down. Therefore it has atmospheric pressure sensor to fix this. 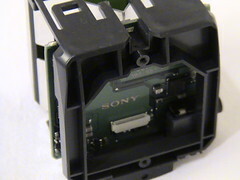 It also has Jairo sensor. 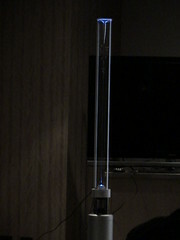 Applicast is a widget for televisions that you can use with SONY Bravia TVs. You can check out information from the internet on the widget while you watch TV. Just like App store for iPhone apps, SONY will make a scheme for individual developers to upload and distribute their own Applicast widgets. 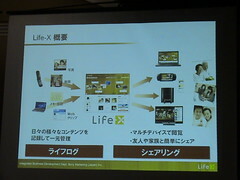 Life-X is a lifelog sharing service which enables you to aggregate your photos, videos, blog posts, twitter tweets, social bookmarks, and output them to your PC, Bravia(TV), Cell phones, PSP(portable game), and PS3(game). It is sort of like Friendfeed, but one thing is that it is made by SONY and it supports various devices other than PC, also the interface is more catchy in a Japanese sense. Other highlights were 9.9mm Bravia television. 9.9mm TV!! Isn't that insane? 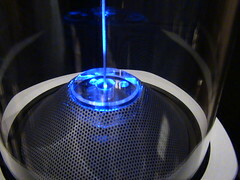 To the "small and thin extreme", they also had 0.3mm organic LED TV and golfball size speaker. To the "large and powerful extreme", their demonstrations of the beautiful Blu-ray movies and 48:9 3-screen movies were pretty amazing. 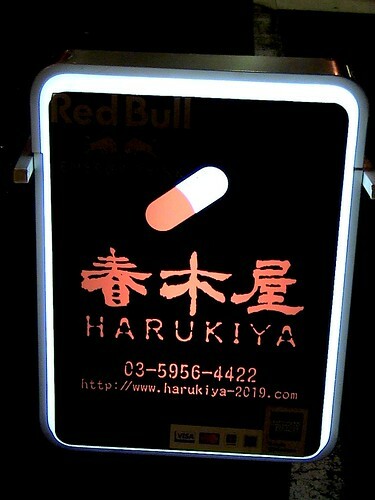 If you are an comic/anime geek visiting Japan and love AKIRA, you should definitely visit Harukiya(春木屋) -and you probably know why this place is called Harukiya ;) - . 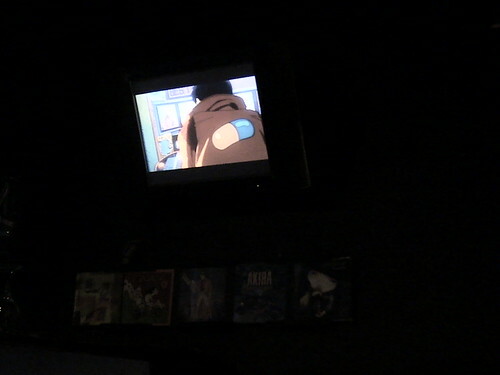 They will show AKIRA anime on the TV screen and has AKIRA comic books. I am writing another blog -Fumi25 blog- completely dedicated to introducing Nico Nico Douga videos in English. The reason why I made this blog was because there is no English interface, I thought non-Japanese speakers might find it difficult to find interesting Nico Nico videos. ●What is Nico Nico Douga? ●What are the popular contents in Nico Nico Douga? - the weekend of 8/30- 8/31 had lots of Nico Nico Douga events, and here are some. ●trace What is a copycat and what is just similar? ●Donald MacDonald Donald is a favorite character of NicoNicoCreators! ●Usavich Original has become NicoNico official videos! ●GONG - MAD animes using the song "GONG"